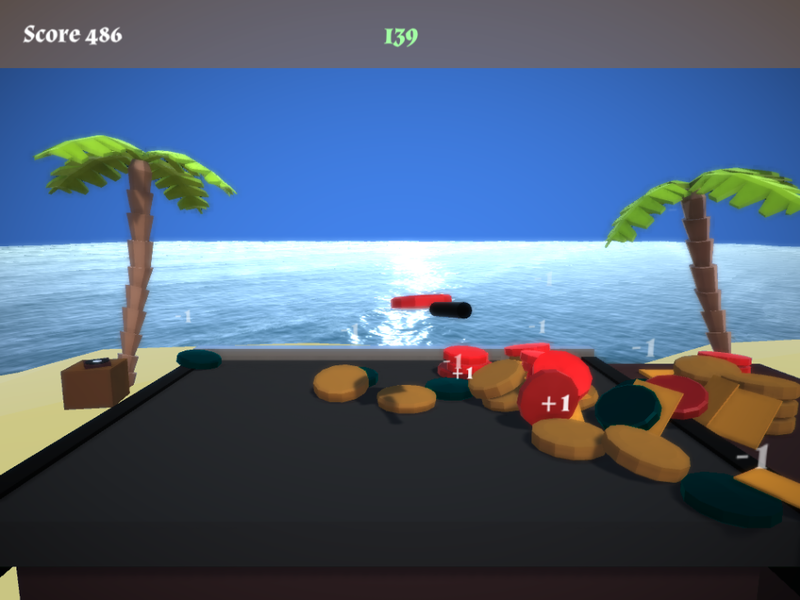 In Burger Panic you grill burgers on a tropical beach. Or at least you try to grill burgers. Don't let them catch on fire! Upload your best burger score to the online leaderboard. Let us hope somebody gets a score above -3000! Made for #BHAMJAM 2017 in one month. The downloadable version has mega enhanced graphics plus pickles. *NOTE* the leaderboard on the web build does not work here on itch. I HIGHLY recommend downloading the game if you want to save your score. I am unable to resolve the issue. I won't lie to you about your burger stacking chances, the odds are stacked against you. This is because this game is autobiographical. You read that correctly. You see, a while back I worked at a burger flipping joint that was all about trains. It was called the Depot Deli & Grill. I flipped many, many burgers. I stacked them. I sometimes burned them. Once I got reprimanded by the owner because another employee sent out a burger but forgot to put the burger on the burger. All the hair on my knuckles got singed off every day. I'd go home smelling of onions and I'd be covered in grease. After working double-shifts from open to close, I would dream about being there, or some version of the place, and cooking those burgers. In the dreams, things were never as they should be. In one, the grills were outdoors and surrounded by snow. I was cooking hotdogs on them and the hotdogs kept shrinking as they cooked until they were the size of pill capsules. Another employee kept getting on the grills and dancing. Food got all over the place. In another, I had to take orders, run a race, climb up a 30 foot rope to a platform where the grills were. I had to prepare the order and climb back down. The dreams were always like this. It was always an amplified version of reality. It wasn't all bad. It truly wasn't. I did like the owner, though often the place got to him, as it did to all of us, and he would snap a little. I truly can't blame him. The food was good. People really enjoyed eating there -- it was their favorite little hamburger joint in town. It was authentic, and I really appreciated that. When it wasn't busy I would walk out on the back patio and look at the water. Buck Creek ran down and fell over the concrete of what once was an old mill. The wind was pleasant, and no matter how hot it was in the summer, it always felt better outside away from the grills. I met friends there. Ten years have gone by. Much has changed. I look back and I am not sure where I've gone, or where all those other people have gone. 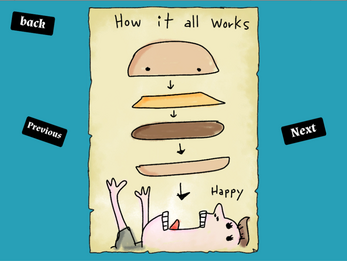 And here I am making a burger game. It's mindless. Nobody plays it. I wouldn't play it. Yet another game made for self-indulgence or something like that. I honestly don't know anymore. 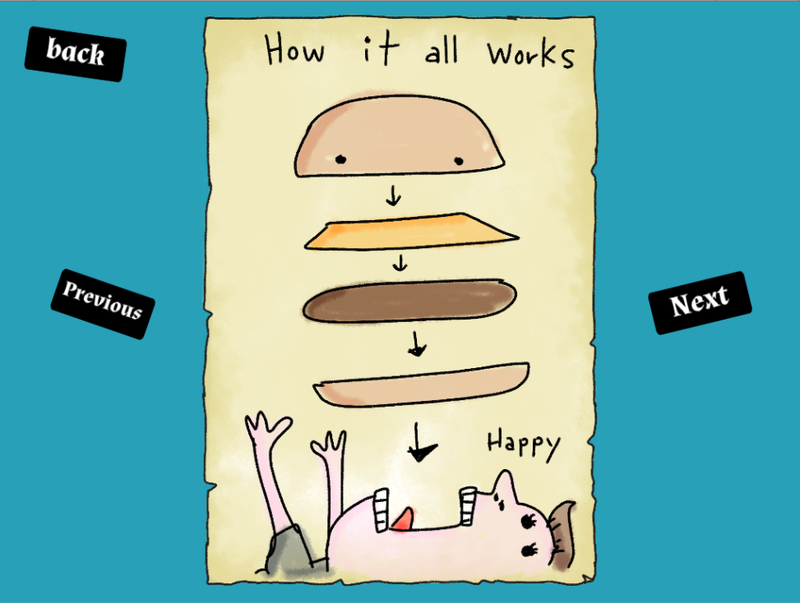 I knew for a while that when I looked back at my time burger flipping, I thought I worked way too hard and too much and it wasn't good for me. It wasn't making me happy. Now, I work a day job and I work making games and none of it is making me happy. I think I'll plan a trip to the Depot and get a burger and eat it on the patio and watch Buck Creek. That might do it. At least for a little while.